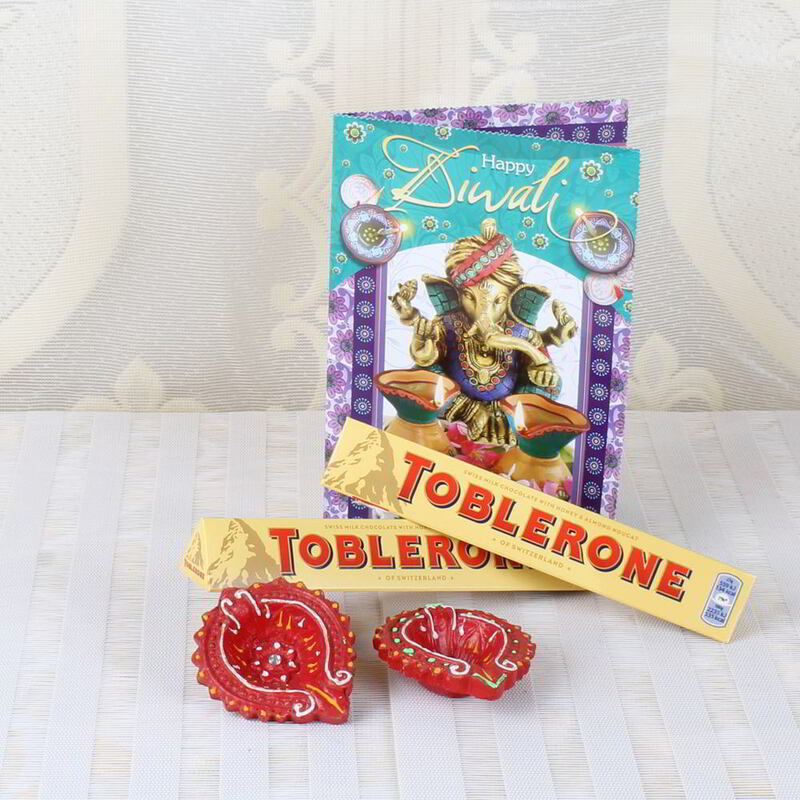 Product Consists: 2 Bars of Toblerone Chocolate (Weight: 50 gm each), Set of 2 Designer Earthen Diya along with Diwali Greeting Card. 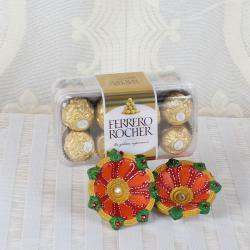 Giftacrossindia.com has a combination of exclusive collection of imported Toblerone Chocolate this gift item will definitely impress all with its quality and exclusive flavor Chocolates. 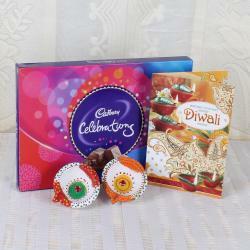 Combo also contains earthen diya with Diwali greeting card. Earthen Diya brings positivity in house naturally with lighting. Toblerone is special gift item which is all set to give a treat of awesome taste to the receiver. Chocolate can be an expression of your feelings and simply a delicious treat to say you are thinking of someone special. 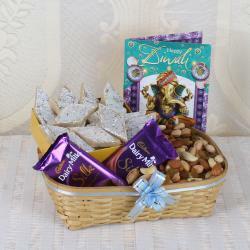 Diwali is the best auspicious occasion for Toblerone Chocolate which is always a nice surprise. 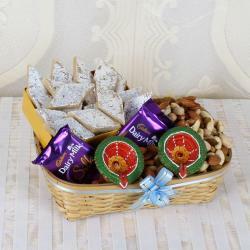 Whether it may be for her or for him, for children, for your dear mom or dad, for guests or for colleagues, this treat will bring great pleasure to everyone in Diwali. This awesome gift hamper makes for a perfect gift to make your love ones feel special and to show them how much you care. So go ahead and send it now for a wonderful Diwali celebration. Product Includes: 2 Bars of Toblerone Chocolate(Weight: 50 gm each), Set of 2 Designer Earthen Diya along with Diwali Greeting Card.